Please join us for thepremiere of "Weep with those who weep: a Requiem" by Lotta Suter and Robert Griffin on Saturday, October 22, 2016 at the Longy School of Music in Cambridge MA at 7:30 pm and on Sunday, October 23, 2016 at the Mason NH Congregational Church at 3:30 pm. 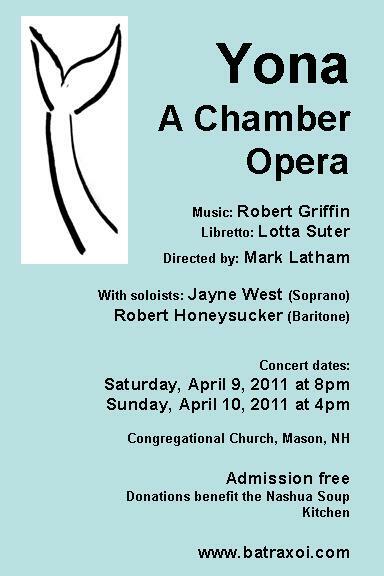 The cycle of chamber operas that includes "Yona", "Sarai" and "Ruwth" by Robert Griffin and Lotta Suter were premiered by the Batraxoi ensemble over the past several years. 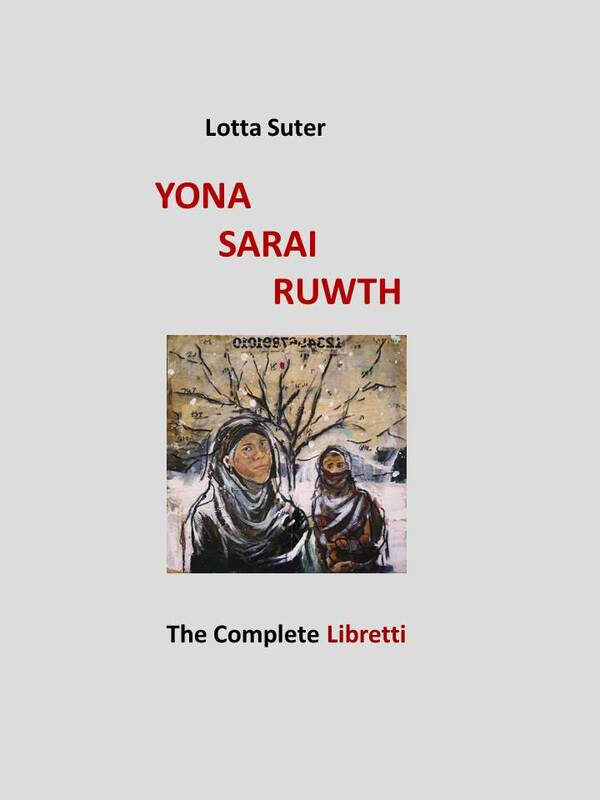 The librettos for these chamber operas are available at Libretti by Lotta Suter . 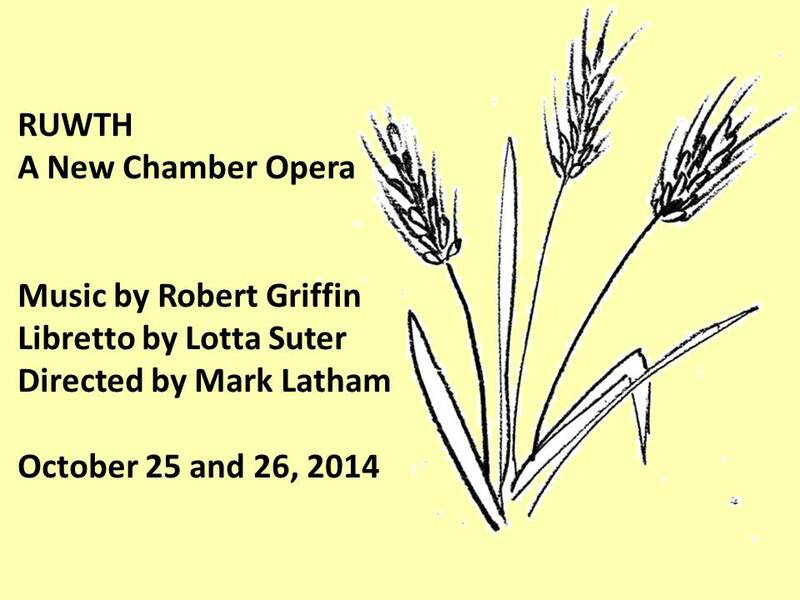 Based on the Biblical story of Ruth, the ancestress of King David, "Ruwth" continues the series begun with the operas "Yona" and "Sarai". Mark Latham conducted the premiere, with soloists Maria Ferrante as Ruwth, Jayne West as Na'omi and Donald Wilkinson as Boaz. 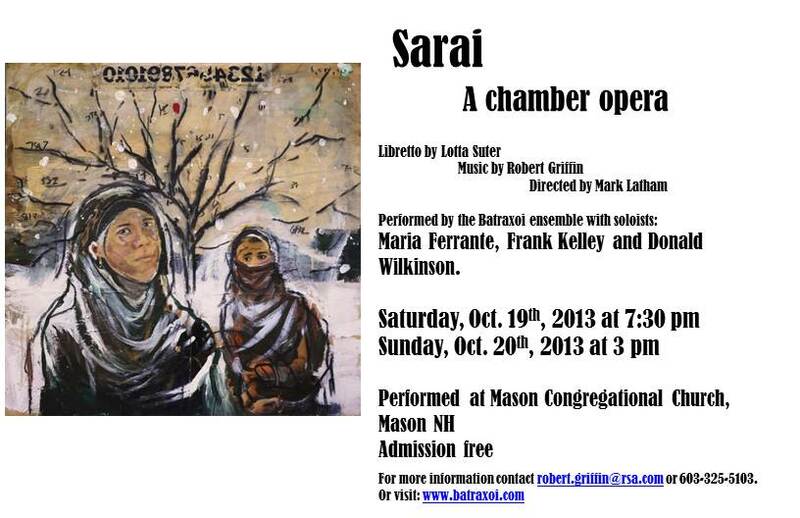 Batraxoi presented the new chamber opera "Sarai" by Lotta Suter and Robert Griffin on October 19, 2013 and 20, 2013 at the Congregational Church in Mason NH. Based on the Biblical story of Sarai, the wife of Abraham, it continues the series begun with the opera "Yona".